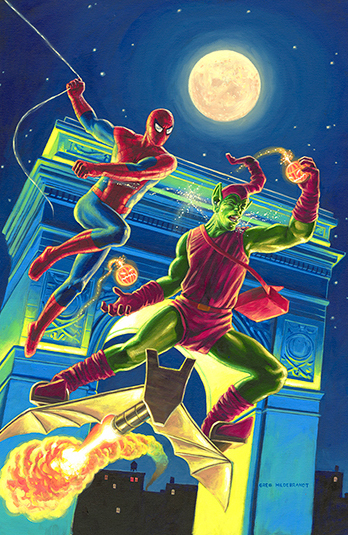 It’s a tale as old as time… Your friendly neighborhood Spider-man versus the pumpkin slinging Green Goblin! This piece will be used as a cover for the January issue of the Avengers Comic. Greg set this piece in Washington Square Park where he prominently shows the beautifully lit Washington Arch as the 2 mortal enemies square off once again.